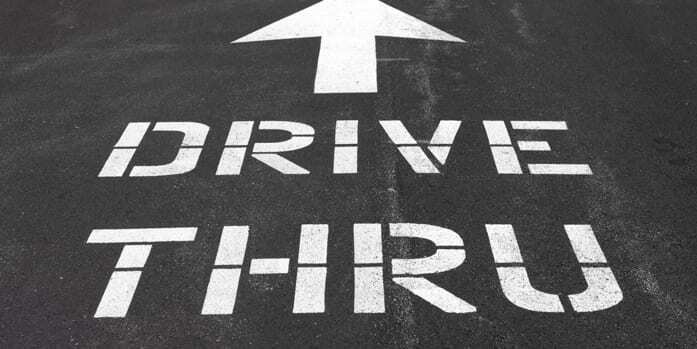 A few days ago some of the counselors and I were jesting about starting a drive-thru counseling service. We laughed at the thought of people taking advantage of this quick service to get fast answers to life’s problems. “I am sure that already exists in Vegas,” someone said. We quickly returned to the reality of hard sessions that require more than a few minutes of microwaved advice. Counseling is as much of an art as it is a science. Listening and reacting to the information given, then responding with empathy, wisdom, and understanding – at just the right time – takes precision, skill, and most importantly, a great dependence on the Holy Spirit. Pastoral and biblical counselors can be tempted to abbreviate the process and accept a quick solution to a complex issue. Let’s face it, life in ministry is very busy. Daily we are bombarded with the urgent requests of those that we are called to serve. We spend most of our days responding to the whirlwind around us, forgetting to stop, pray, and process the deeper details of what or who is in front of us. I believe that busyness may be one of the most common reasons a counselor pushes a counselee through a process to accept a foregone conclusion. I have been this pastor, and I have worked with many pastors and ministry leaders who move people to closure in order to get back to the other demands of their roles. Another reason pastors and biblical counselors speed through counseling is because they lack compassion. They may care, but having compassion takes a deeper level of emotional energy and involvement. God created the church to have all types of leaders in all types of roles within the church. While this diversity is a strength of the church, it can also be a challenge. People assume that all pastors have a generous amount of compassion, empathy, and skill at counseling; this is not the case. Some pastors are better at administration, so when given the chance to play the counselor role, they push to the “bottomline.” The result is an accidental abuse of the title of pastor or counselor—a role some simply assume because it is presumed upon them by their congregation. A counselee must work with a counselor or pastor to find the cause of what is going on in their life. When individuals are pushed too quickly in counseling, often they only address surface level issues and may relapse in feelings, thinking, or behavior. I once found myself doing exactly what I am advising against. I offered premature solutions to a young lady for reasons that are less than acceptable. I was working with a young girl early in my ministry that was cutting. She had done severe damage to her body and racked up thousands of dollars in hospital bills. I quickly assumed this was a control issue and something that could be managed with behavior modification only. I ignored the deeper hurt in her life (ignorantly and accidentally) and did not deal with feelings in her life that needed to be sorted out. We controlled her behavior for a while, and then the next cutting episode occurred. It was not until I sought outside help that we were able to uncover the deep hurt from past abuse in her life. The counseling relationship with that girl and her parents was damaged, but only slightly (by God’s grace). They understood that I was new to dealing with such deep pain and had not yet learned to unearth the deeper issues at hand. I had to take more of a backseat with the girl and allow someone else to take over. God was good to heal her soul, and she is fine now, but I desired to be more involved. I lost some trust with her and her family when the issues returned, but God had a bigger plan to grow me and grow her as well. Counseling cannot be rushed. While I do subscribe to a short-term strategic counseling model, we must take adequate time to uncover the deep issues people wrestle with in life. When we gain greater understanding, we can offer wisdom from God’s Word and advice for life application that leads to lasting change.